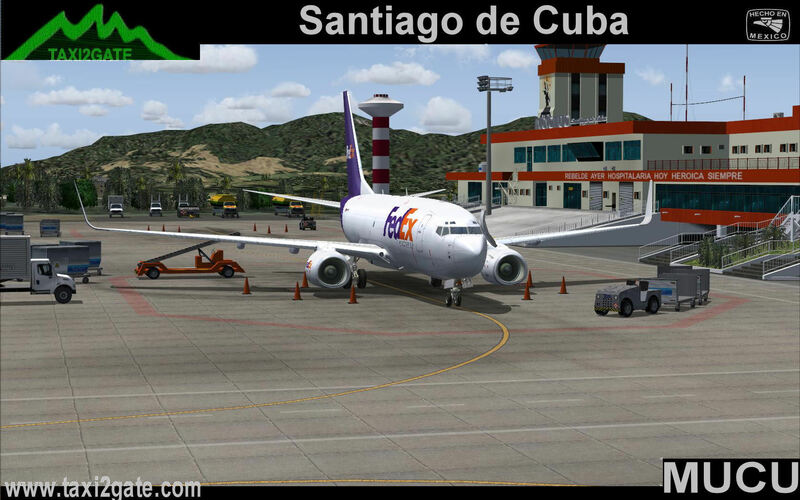 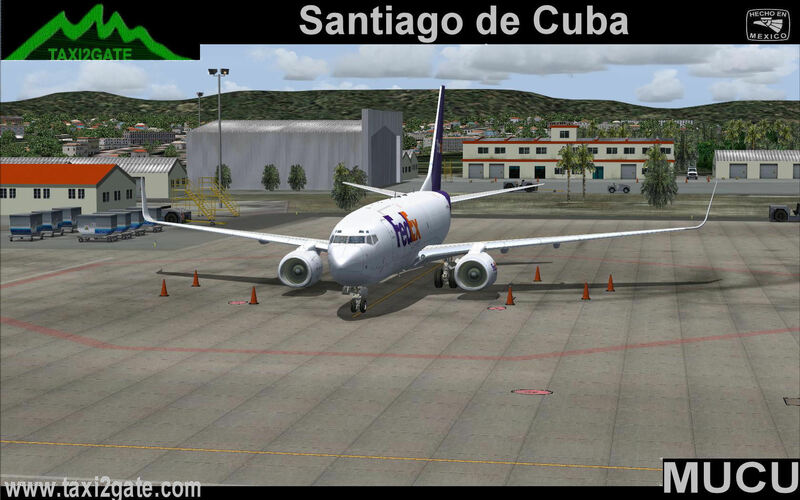 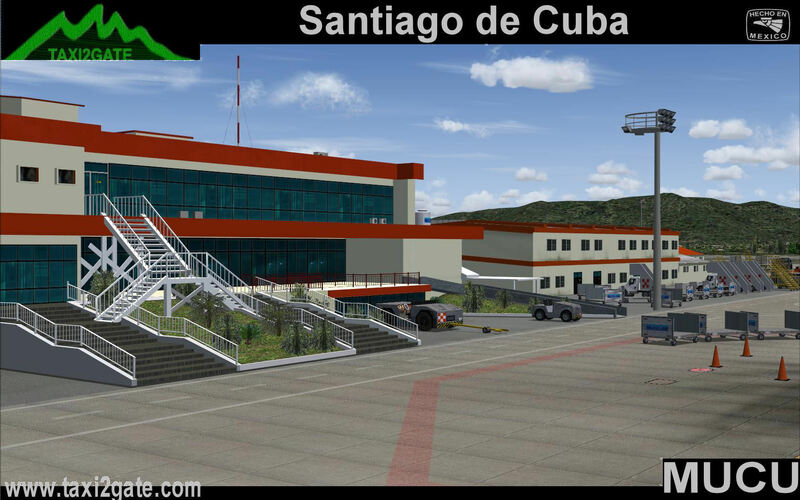 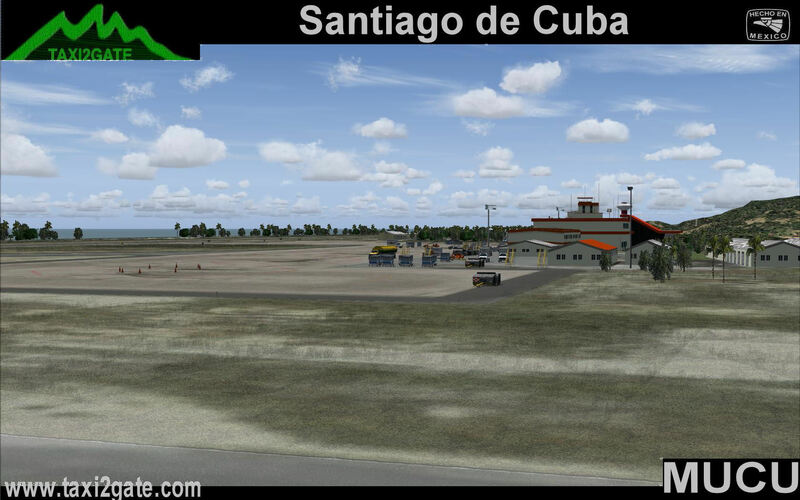 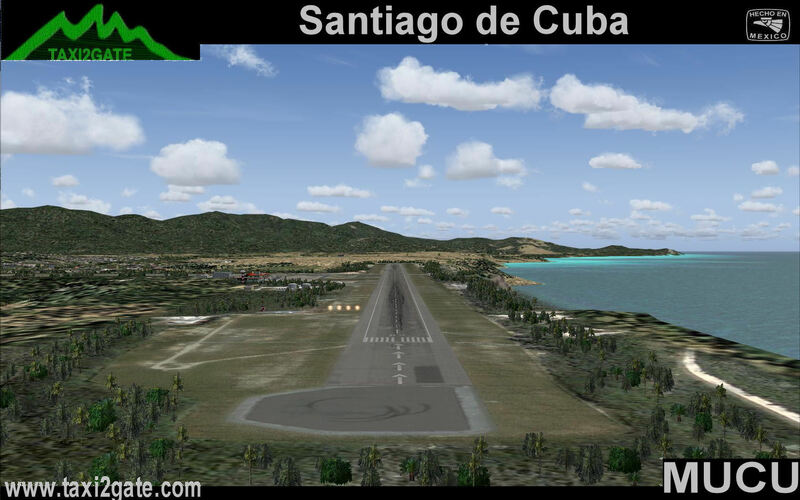 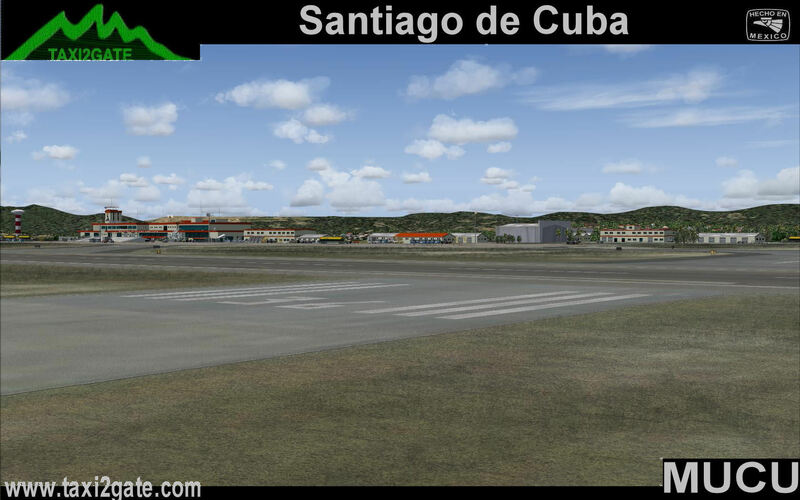 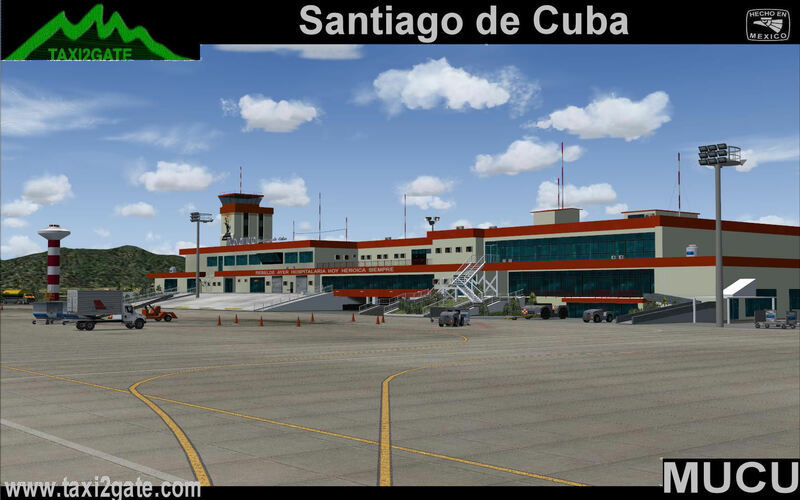 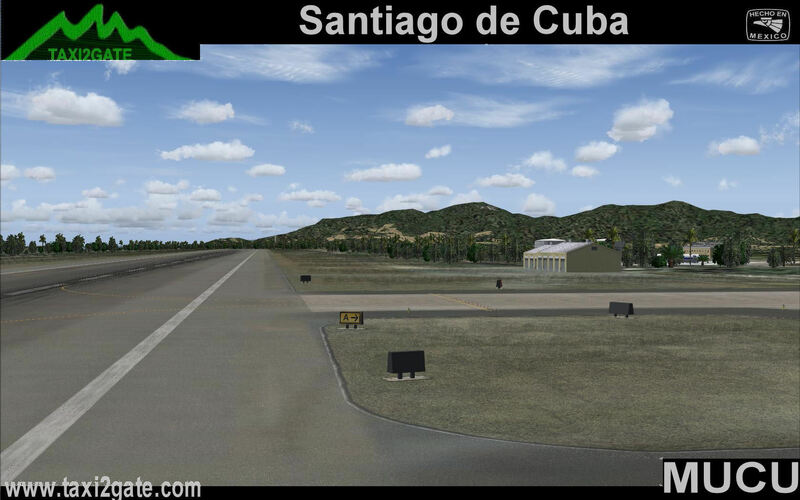 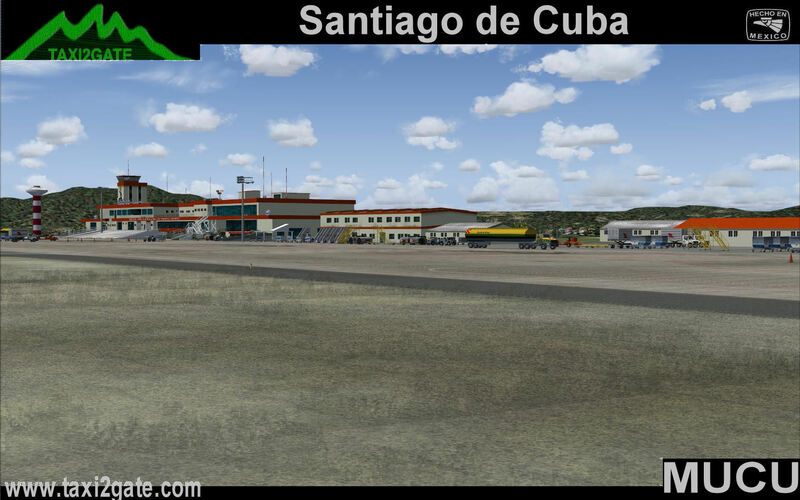 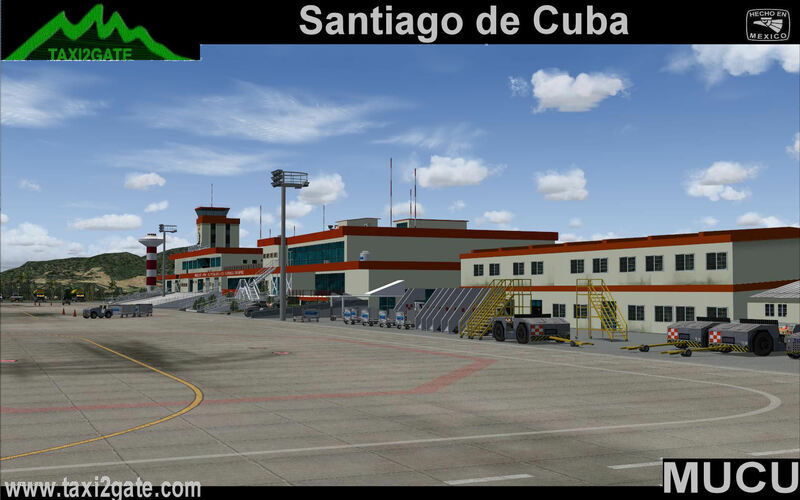 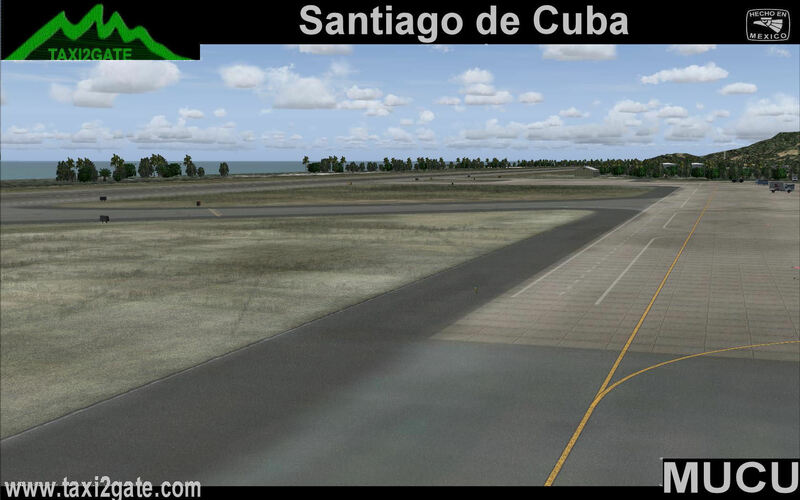 Antonio Maceo International Airport, located in (or close to) Santiago de Cuba has 2 runways, of which the longest is 13123 feet (4000 metres) long. 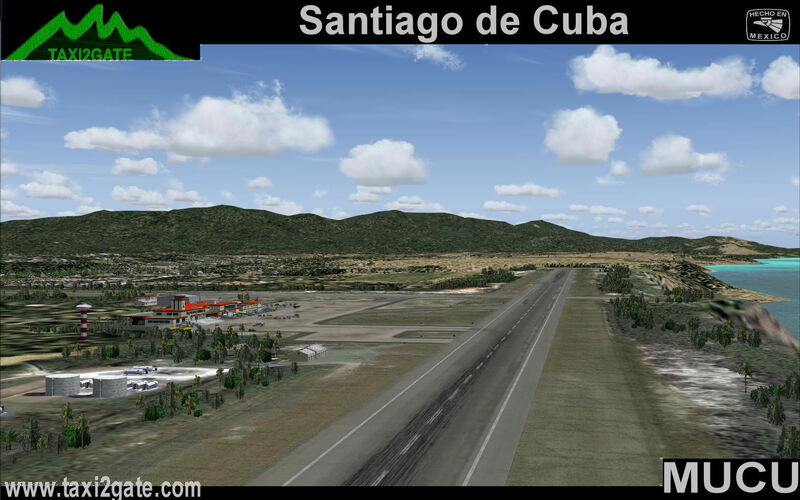  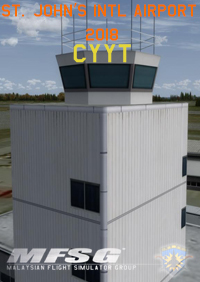 The geographic coordinates of this airport are 19 degrees, 58 minutes, 11 seconds north (19.969769) and 75 degrees, 50 minutes, 7 seconds west (-75.835414). 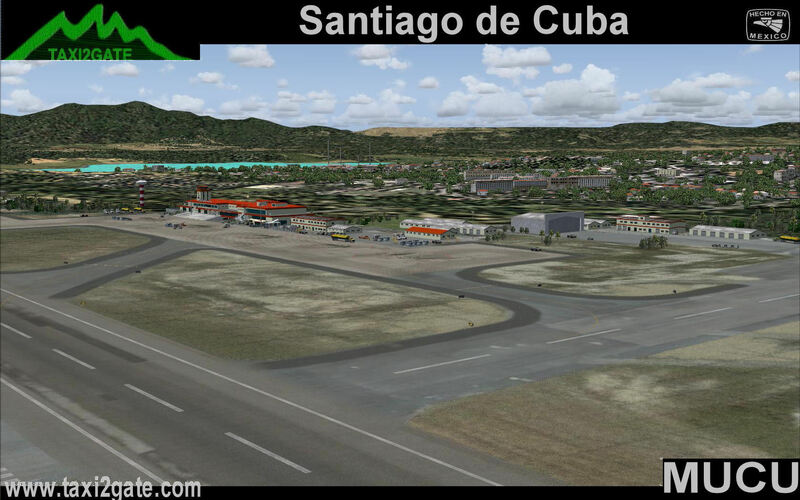 Antonio Maceo International Airport is 249 feet (76 m) above sea level. 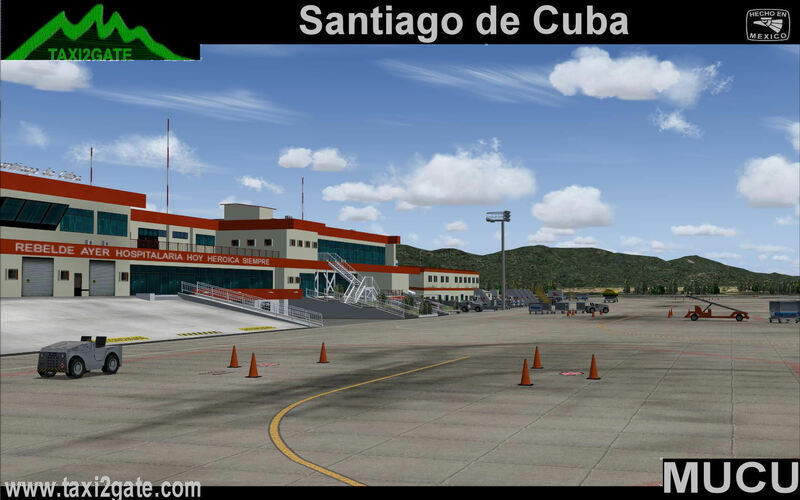 The Antonio Maceo Airport is basically a turbo-prop center. 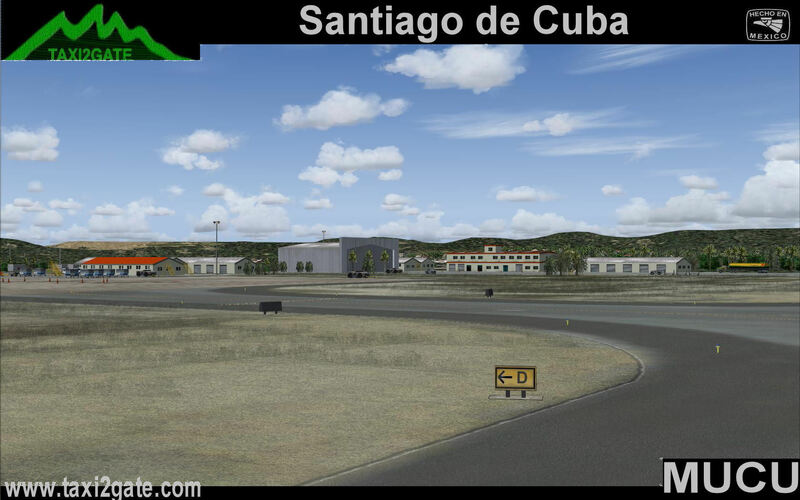 Nevertheless, jets also fly to this airport. 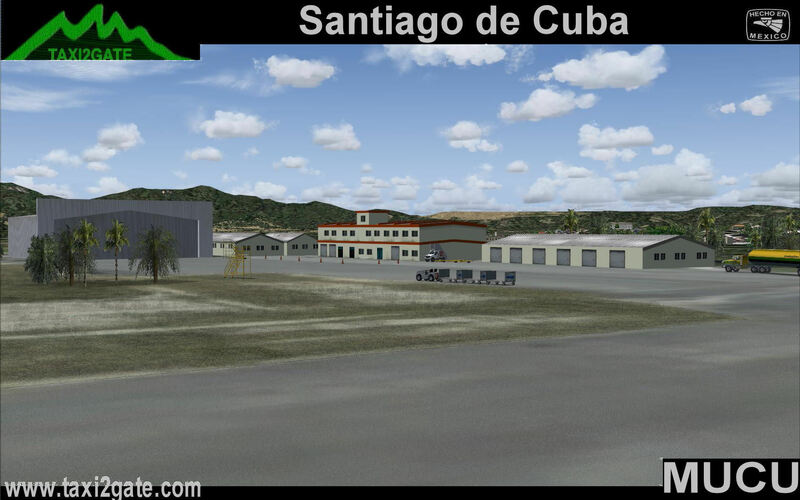 Most commercial flights into SCU are domestic, but there are about twenty international flights each week; while these international flights are done mostly by domestic airlines, the international routes have nevertheless awakened the interest of some foreign airlines that might open flights into this airport in a future. 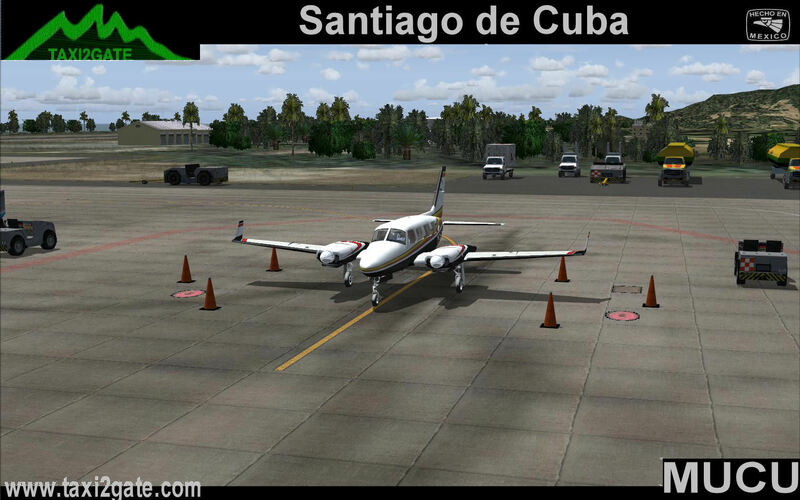 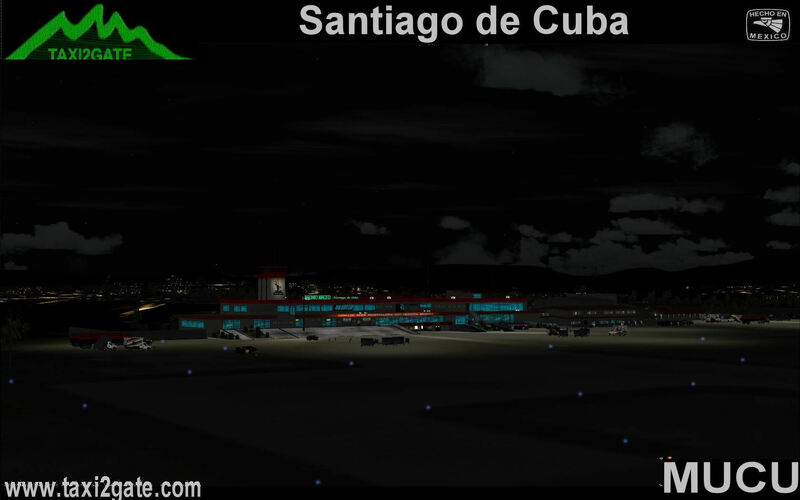 This airport is awesome.IterSim Studios and TAXI2GATE are making the best airports out there that are based on Cuba.The 3D buildings and ground objects are very accurately made.When you look at this airport from gooogle earthh and then you look at it from the flight simulator, you see the trails , marks, buildings, and all very accurately placed.If you'd like to go on a flight adventure trough the Caribbean (at FS), you must include this airport in your list.You can start at Miami and go all the way down to this airport, then continue to the Kingston/Jamaica, and keep going down trough Dominican Republic, Puerto Rico, St. Marteen , and so on... 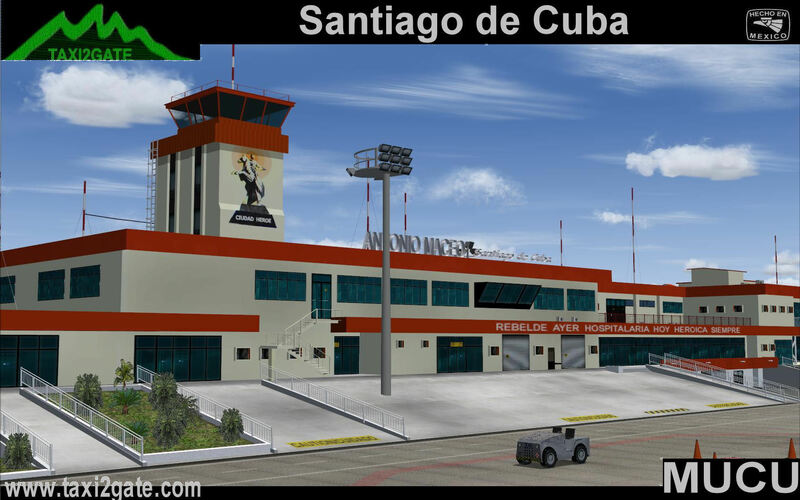 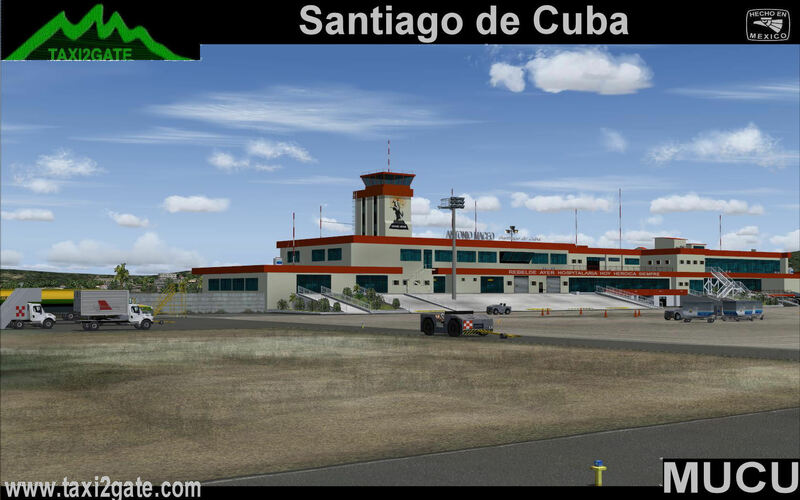 I strongly recommend this airport, it's just awesome, needless to say, I'm a huge fan of Cuban aviation.